Ella is an intoxicating cocktail laced with top notes of bergamot and cassis combined with a heady heart of orange blossom, jasmine and rose and enriched with seductive base notes of amber, patchouli, sandalwood and vanilla .As adventurous as she is chic,. 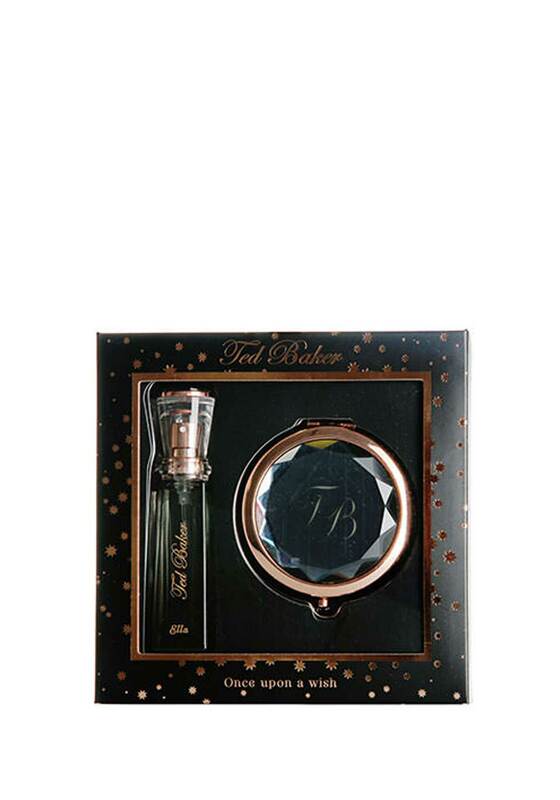 A handy handbag sized scent, in a gift set, complete with a beautiful compact mirror, with the Ted Baker logo, presented in a cool black gift box. The perfect surprise for someone special this Christmas.